Wildlife photography is very challenging, especially for new photographers, because you have no control over your subject and very little control over the conditions. As a beginner, have you ever wondered about the best wildlife photography tips and tricks? 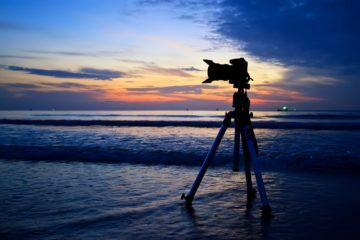 Luckily, there are a few select areas of consideration that, when used frequently and confidently, can greatly increase the chances of capturing a once in a lifetime shot of your subject. If you already know a thing or two about photography but are looking to hone in on the skills that specifically benefit wildlife photographers, then you’ve come to the right place. 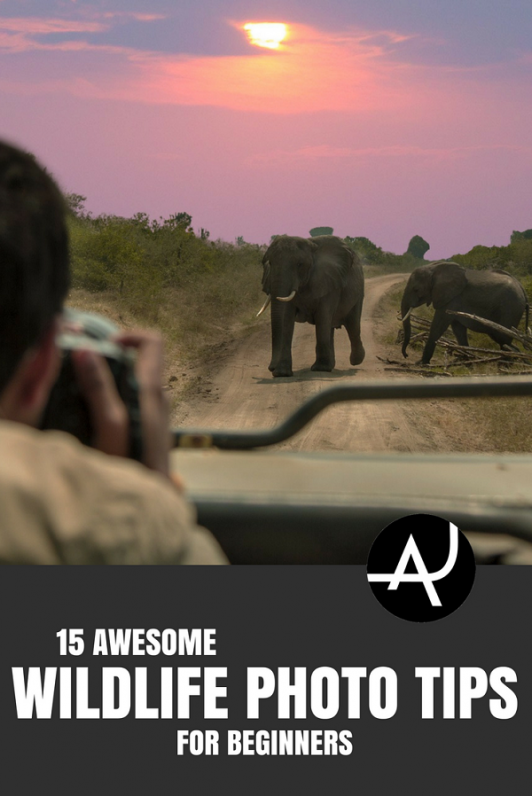 Our goal at The Adventure Junkies is to find the most reliable information on wildlife photography and share it with our readers in a clear and concise way so that you can easily implement it and produce some of your best work yet! It’s no surprise that light is the most important factor in all forms of photography but it’s especially important for wildlife photography because of the inability to control what little light you do have. Wildlife photography is about capturing animals in their most candid moments, and those moments usually exist during very early and late hours of the day. Dawn and dusk are also known as the golden hours in photography, the time when the sun is at it’s warmest in hue, casting rich colors across the landscape and often providing a dramatic backdrop for your subject. The key to this wildlife photography tip is not simply wake up early enough to shoot in this light, but to use the light creatively and to always be aware of it. Know the direction the light will be coming from and plan for it. Sometimes things don’t go as planned, especially when photographing wildlife, but that doesn’t mean you can’t reassess the light and work with what you have in the most creative and intentional way possible. A photographer who can play with light and use it to highlight features of their subject will produce much stronger photographs than one who doesn’t. Thinking creatively about dramatic lighting is a great wildlife photography tip because you will end up with very unique and thoughtfully composed shots. 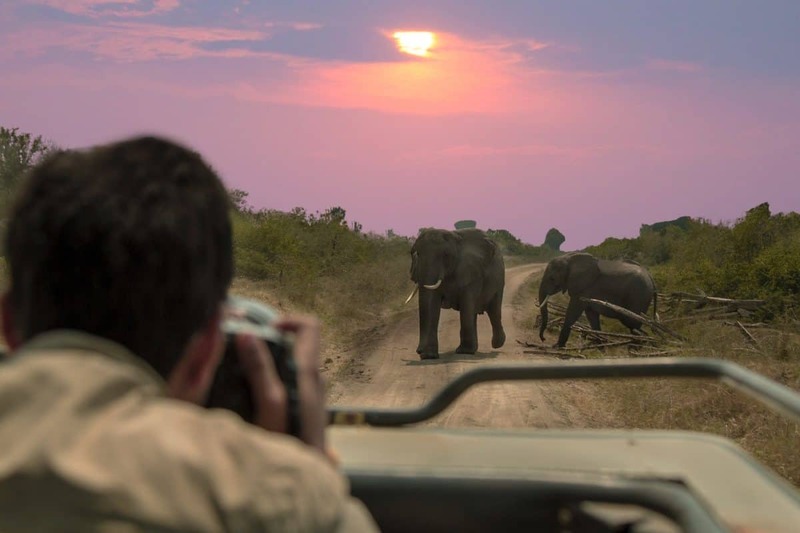 Consider the sun setting over the hot Savanah and a large elephant walking away from where you’re shooting, every creature is turning in for the night. A blood red sunset like that shouldn’t be wasted, especially when it is the perfect backdrop for a silhouette shot of the elephant walking toward the setting sun. Using light in a dramatic way, from backlighting to casting dark shadows and lines across your subject can add a unique and intriguing tone to your shots because of the thought and care put into it. If lighting isn’t good or if your subject has both dark and light contrasting colors on their body, a low-powered external flash can give you that extra light you need to fill in those spots or simply to provide that perfect gleam in your subjects eyes. Knowing the location on a more intimate level will put a photographer leaps and bounds ahead of the rest. If you know the history of a location and its landmarks or features, you can incorporate them into your shots making them much more profound for people who have been there or know about it. Knowing the location well also gives you a sense of local comfort, you don’t need to worry about getting turned around or lost because you already feel adjusted to the settings and you won’t hesitate to relocate for a better angle because you already know exactly where you are. I’ve spent a lot of time in the wilderness, chasing animals around. There is nothing more unsettling (and distracting) than running in circles in the woods, not knowing which way you came from. If you know your location, then chances are you’re going to have a better idea of what the weather will be like and how it will impact your light and your subjects movements or behaviors. 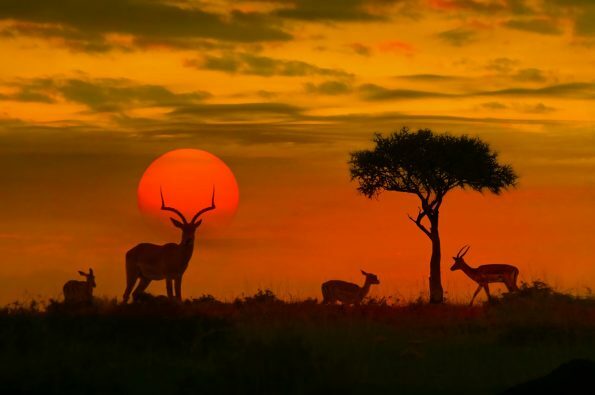 Shooting during the golden hours, dawn and dusk, will often bring about a change in temperature and a change in temperature means a shift in the wind. If you want to get close to wildlife you always want to approach from downwind. When the sun sets after a long hot day the cooler temperatures will push the warm air up and out of the river bottoms and canyons causing the wind to swirl and often switch directions to going up and out. Of course, every location has different weather patterns and even some animals don’t mind people snooping around depending on where you are and the time of year. But knowing your location, its weather patterns, and your subjects behavior will give you the upper hand to make your own luck and capture those one in a lifetime shots. As mentioned before, knowing your subjects behavior will help you identify their next move. If you wake up early to find that a storm is moving in and the wind is already howling, you can bet your subject is going to have a slight, if not drastic, change in behavior in relation to the weather. 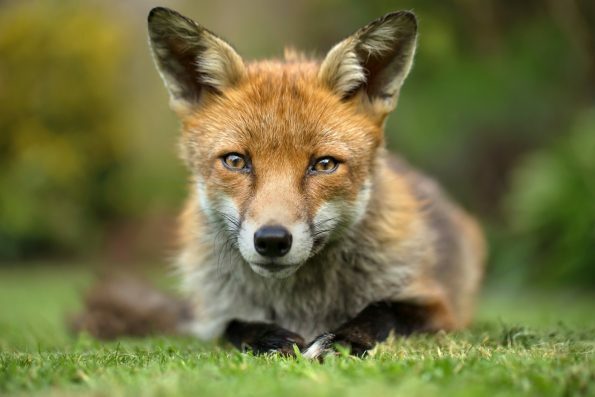 For example, if your subject is an animal of prey who relies on hearing their predators approach as much as seeing or smelling them, then a storm is going to change their movements and behaviors. This could be a great opportunity for unique, emotion filled shots. Big gusts of wind, especially through wooded areas, can eliminate your subjects ability to smell or hear a predator approaching. So, these animals often resort to large open areas to allow them to at least see any threats. With the correct lens, this means you could wind up with a very successful, albeit stormy, photoshoot. Being intentional with what you want to capture and how you want to capture it will greatly enhance the photos you take, but it takes plenty of patience. Using light creatively and intentionally by putting yourself in the best spot to capture a movement or behavior you can predict from your subject will increase your chances of a unique shot. 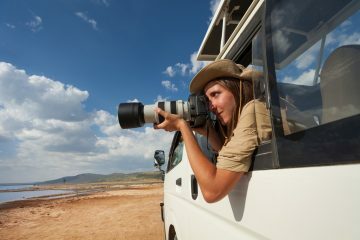 It is hard to predict what you subject will do at any given moment and you obviously can’t give them directions on how to stand or which way to look, but at least you can predict their behavior, position yourself where you can capture the shot you’ve envisioned, and wait for an opportunity to arise. Patience really is one of the best wildlife photography tips, but that doesn’t mean just sit around twirling your thumbs or snapping photos on burst mode constantly. Instead, use the time wisely to observe your subject as well as to sense their movements and thoughts. If your subject is a bird of prey in flight over an open field watching for prey, you might see that they follow the same flight path back and forth, turning at the same point every time. Catch them in that turn to make for a more action filled shot versus a shot of the bird flying — anyone can do that! You hear this advice a lot when it comes to photography but it’s a great way to spice up your shots when capturing wildlife. Get on their level or get on a completely new level, like an airplane soaring over open water and grassy plains. The more you step out of YOUR box and into a new one, the more the photo is going to pop with dimension and character. 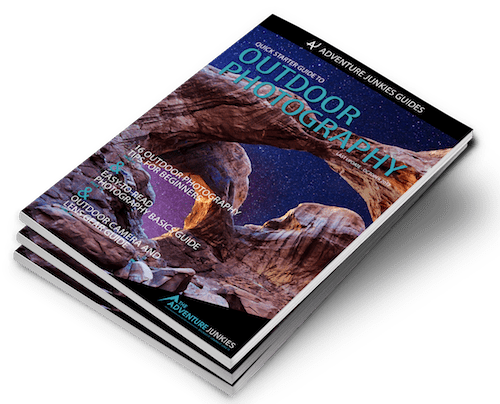 Of course, getting yourself into higher or lower positions might require lens that accommodate such a shot, so make sure you’re prepared by assessing the lenses you already have and identifying any additional lenses you could benefit from with The Adventure Junkies lens guide. A great way to get your subject closer to you so you can get more up close shots is to set up a blind or stand that conceals you from view. Bait the animal in naturally and capture their curiosity or even their hesitation. Think about the many expressions a dog can make in one situation and then try to bring similar expressions out in your subject! Imagine the shots you can get if you lured a shy brown bear into a clearing and set up a mirror. Would the bear stand up in a show of aggression or approach their reflection curiously and playfully? You’ll never know until you try. For other camera traps that you can set up for relatively cheap, check out how professional photographer Jonny Armstrong sets up his traps, you’ll love the results! A great wildlife photography tip is to embrace negative space. This blank canvas behind an animal can put more emphasis on the subject or it can offer an interesting contrast to the photos setting. A polar bear huddled up on a snow bank with nothing but a weary grey backdrop behind it can add to the emotion of the shot by emphasizing the cold loneliness of a long winter. If you find that you can’t eliminate a distracting background from your photo by re-positioning yourself, then get closer and fill the frame. The photo is about your subject after all. If you can’t get closer for whatever reason (safety is a priority) you can also consider changing your camera’s aperture to soften the background with a blur and bring the subject of the shot into an intentional focus. This wildlife photography tip is especially helpful when capturing a subject that travels in large groups like birds, meerkats or penguins. 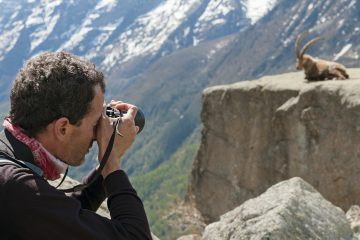 This is perhaps one of the more vital wildlife photography tips for a beginner. Learn these settings, use these settings, practice daily with these settings and know when to use which. This knowledge will greatly increase the amount of shots that are composed correctly, in focus, and exposed in all the right places. You can always print off a guide to these three essential settings and keep it in your camera bag, but before you know it these will become second nature to you. David Peterson goes into depth on the different shooting modes and what they mean for your specific wildlife situations. Exposure compensation is a wildlife photographers best friend. Learn it, know it, use it. 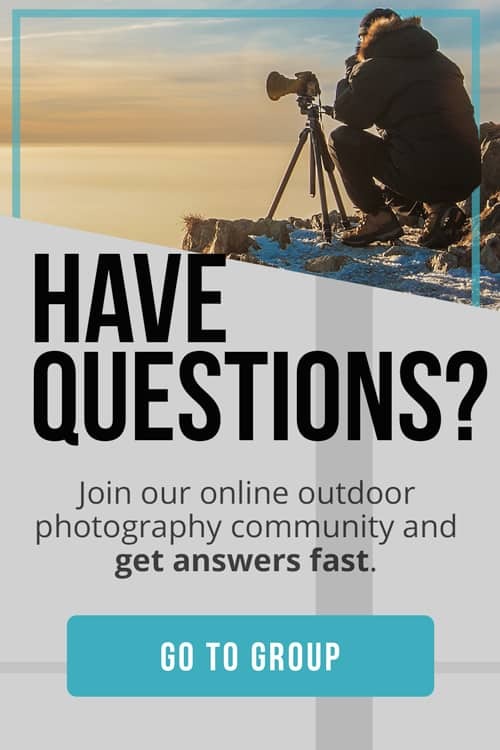 Exposure compensation comes in handy, especially when your subject has lighter and darker colors on their body, or if they are moving in and out of shade and sunlight. Don’t miss a stunning shot because your exposure isn’t set to what it should be at the moment. Brush up on it with The Adventure Junkies’ guide to exposure. Custom presets are another indispensable asset in your bag of wildlife photography tips. These settings can be used for when you need to quickly switch from a stationary subject to suddenly photographing birds in flight or fast moving subjects. A custom preset can be set for certain weather conditions or for shots with cluttered backgrounds. The more you shoot, the more you will realize what settings should be saved as a custom preset. Richard Peters offers great advice on how and why to enable certain camera settings. Once you get this down, you’ll stop missing great shots because your busy fidgeting with your camera and start capturing some of your best yet. New photographers seem to think increasing the sensitivity of your cameras sensor is a big NO-NO. But that’s not the case, especially for wildlife photographers who often work in low light conditions and faster shutter speeds. It’s better to have a shot with slight noise than no shot at all, and higher ISO’s on newer cameras aren’t nearly as bad as they used to be. So, don’t be afraid to crank it up when you need to compensate for fast moving subjects or dwindling light.